Salsalluminatti is a producer of handmade gourmet condiments based in Park City. 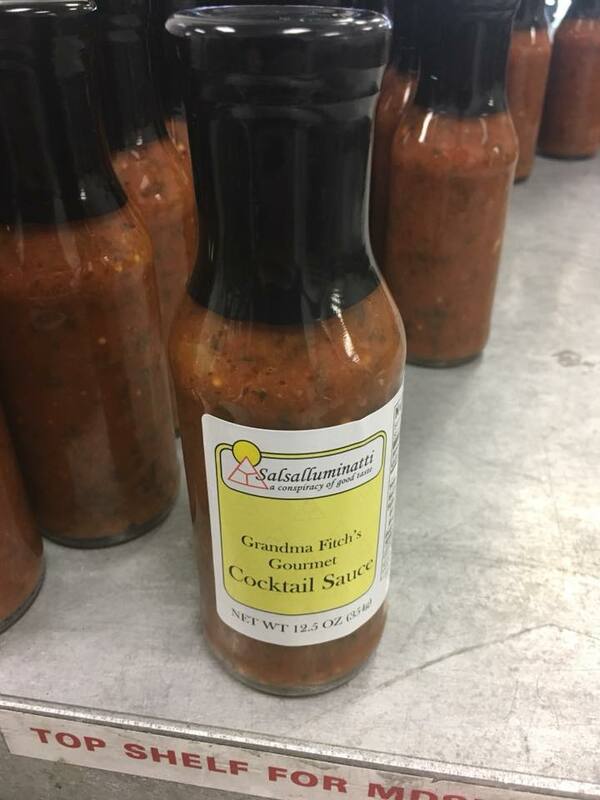 We currently only have one condiment on the market, Grandma Fitch’s Gourmet Cocktail Sauce, but are in development on several others. Our goal is not to go to war with the large condiment producers head on, but blend things that carry some sort of interest over the traditional bbq sauces, ketchups, mustards, and hot sauces with a focus on unique spices and whole vegetables as opposed to purees. 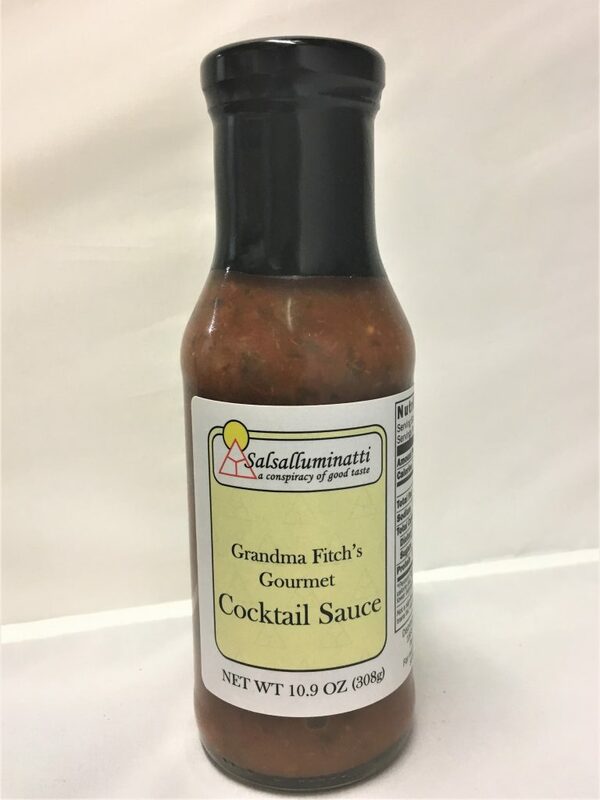 Grandma Fitch’s Gourmet Cocktail Sauce is ketchup free and perfectly balanced for all types of shellfish, but works especially well for lobster and crab, with just enough sugar to balance the acidity, without overpowering the natural sugar content of the seafood. It also functions well with steak and pork, but shellfish is where it really shines. We donate 1% of our gross sales to Give Kids the World Village in Kissimmee, Florida, which provides no cost vacations to families with children facing life-threatening illnesses. We have always worked on fund raisers with various children’s charities and thought it was important to keep that up with our company, especially now that we are parents. One would assume that naming a sauce after your grandma (Grandma Fitch’s gourmet cocktail sauce) would be a conspiracy just to get people to buy it… well, maybe it is a conspiracy, but the sauce is damn good. My family likes dipping big Patagonia shrimp into Grandma Fitch’s Cocktail Sauce. After the shrimp are all gone, we don’t leave a drip of sauce behind, soaking up the remains with a nice bread. It is excellent, delicious, and satisfying. Grandma Fitch’s Gourmet cocktail sauce is spoon in bowl magnificent!! WAIT… WHAT… You heard me correct I dashed it on the family hot dogs I picked up from the butcher, then on some Jamaica Jerk chicken, then used it with blueberries and Greek salad, then Tim’s cascade jalapeños potato chips, then was like screw it I’m going to throw some in a bowl and I devoured it! It’s amazing… It is over the top, sunset in Hawaii, children’s laughter in the living room (not middle of night, by your bed) tremendous. Buy it and try it if you don’t believe me. If you do believe me buy it and yum down my friend! Salsalluminatti was founded after years of making a seafood cocktail sauce based on an old family recipe in Park City and on Martha’s Vineyard in Massachusetts. Matthew Safranek, our founder, has been making the sauce for years and finally decided to take the plunge and start producing it for a wider audience. Matthew has found himself looking for more out of condiments, which he finds to be universally boring. Matthew’s family is from Iowa and he grew up with parents who were constantly canning all summer long, even though they were regularly moving around the country and to Europe as both of his parents were in the Army. They did their best to expose him to as much culture and food as they could and that probably explains his passion for unique and complex flavors. 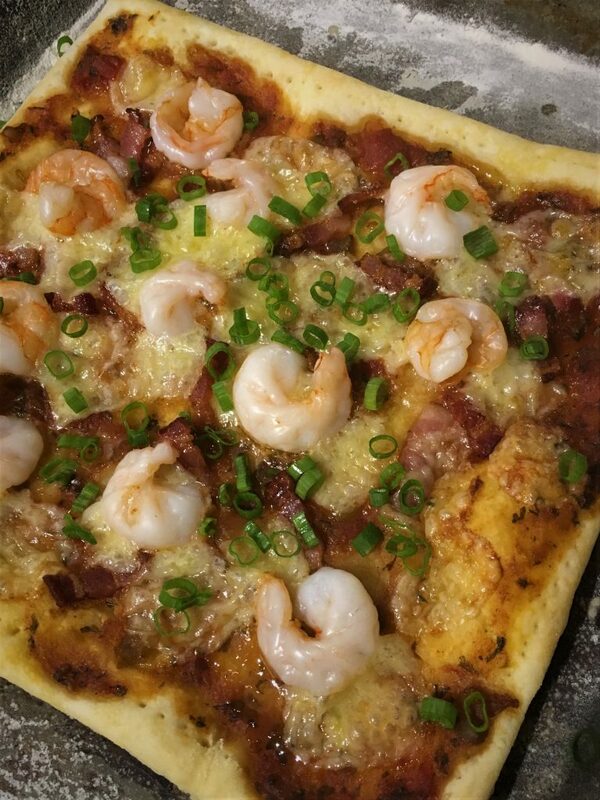 This entry was posted in Food and tagged cocktail sauce, gourmet, handmade sauces on September 5, 2018 .